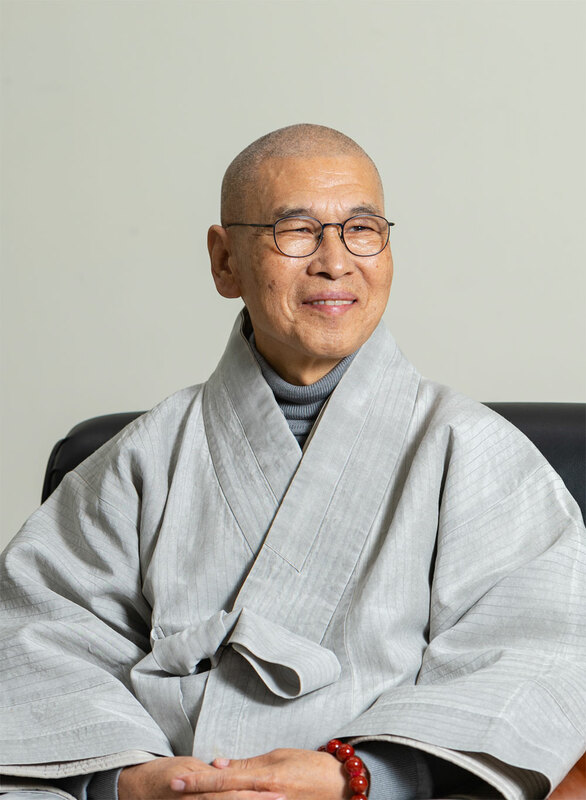 Leaving behind the social movements of 20 years that I had been devoted to in the 1980s and 1990s, I was committed to an ascetic practice of mine at a Buddhist temple for 15 years thereafter, and today I step outside again following the "ties of time." The Korea Democracy Foundation (KDF) is a public institution with a mandate to commemorate democracy movements that set milestones in modern Korean history since the founding of Korean government and to contribute to the growth of democracy by inheriting and espousing the noble spirit of the movements. The KDF will adhere to its founding principle and fulfil its role while exercising flexibility at times. Over the past two administrations, the KDF underwent many difficulties. I understand that improper personnel management and budget cuts made it very difficult for the KDF to implement its projects properly. I will make a full assessment and steadily make things right one by one. We have widened the circle of democracy in our society through two milestone civil revolutions of the June Uprising in 1987 and candlelight rally during last winter. People power brilliantly elevated the status of the people themselves from a subject to be ruled to a citizen guardian of the world they live in. The KDF will closely observe and honor the views of the citizens and take future-oriented actions to uphold and solidify democracy. As the axiom goes, the universe is one big flower blossoming with natural ties and co-prosperity. With the spirit of benevolence (love and compassion), we will walk together with the people who are still in pain toward a better future, and side-by-side with citizens enlightened.